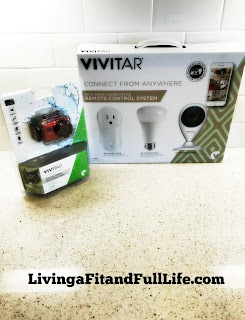 Living a Fit and Full Life: Vivitar's ActionCam & Deluxe Smart Home/Office Automation Essentials Kit are Just What You Need for Your Next Vacation! 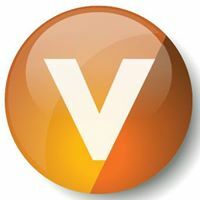 Vivitar's ActionCam & Deluxe Smart Home/Office Automation Essentials Kit are Just What You Need for Your Next Vacation! Make your home or office into a smart home with the all new Vivitar Deluxe Home Automation Essentials Kit. This complete kit includes a Wi-Fi motion sensor camera with voice-over capabilities, Wi-Fi electric outlet with 2 USB ports, and a Wi-Fi LED light bulb. Stream super clear HD video securely to your phone or tablet with the built-in app or over Wi-Fi. With motion detection, night vision and multi-camera viewing angles know exactly what is going on when and where it happens. Vivitar's ActionCam & Deluxe Smart Home/Office Automation Essentials Kit are just what you need for your next vacation! As a home owner I know the worries of going on vacation and leaving your home unattended. Vivitar's Deluxe Smart Home/Office Automation Essentials Kit is just what you need to put your worries at ease. The Wi-Fi motion sensor camera is awesome and I love that it has voice-over capabilities. The picture also looks incredibly clear both at night and during the day so I can stay on top of my home security. It's also motion activated so I'll get notified of any motion while away. The Wi-Fi electric outlet with 2 USB ports also works really well and I love that it allows me to control my electronics when away from home. The Wi-Fi LED light bulb is also incredibly fun to use because I can change the color of the light to my preferred color. It's also terrific for when you want to have a light on at night when your away to keep up the appearance of an occupied home. Vivitar's Deluxe Smart Home/Office Automation Essentials Kit gives me complete piece of mind when I'm away from home. 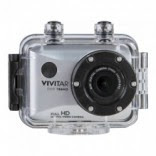 Vivitar's ActionCam is the perfect way to record and document your vacation! I absolutely love how small the camera is and that I can fit it in my pocket or even a small purse. I also really love that it's waterproof since most of my vacations include some sort of water. It's incredibly nice to not have to worry about keeping the ActionCam dry. The video quality seems pretty good too and I love how easy the ActionCam is to use. I literally had it set up and ready to go within minutes. Vivitar's ActionCam is the perfect way to catch all the fun memories of your summer vacations! 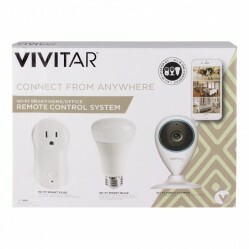 Vivitar's ActionCam & Deluxe Smart Home/Office Automation Essentials Kit are the perfect items to help you have a stress free and fun vacation this summer!